Quick guide to get this working with IFTTT. This expect you to be familiar with the IFTTT service. Create new applet with the trigger you want to use. 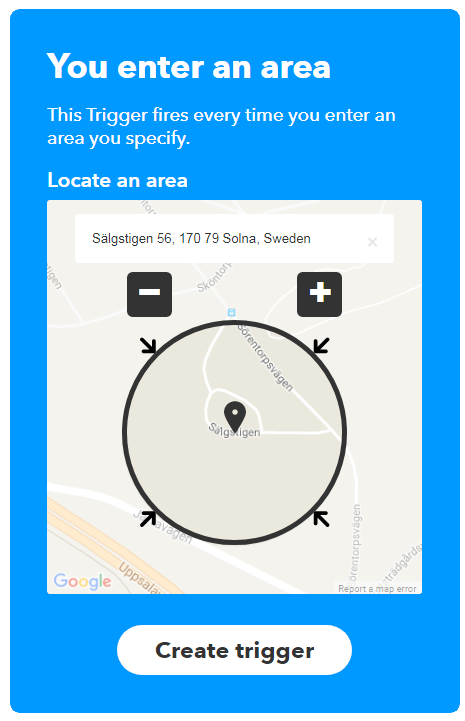 In this example we will be using a geofence. 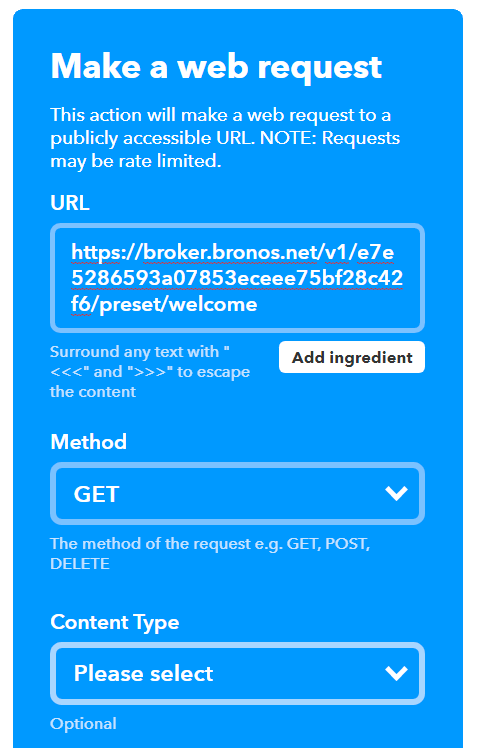 Create a webhook, Make web request and specify the bronos link you want to trigger. This example would apply the pre-defined preset named “welcome”. Create a webhook, Make web request. This will start playback on the Office player, with previous volume and source. You can use a preset instead if you want predefined volume, grouping and sources.